Asha Sairah George is a 3L at Chicago Kent where she is pursuing a certificate in Litigation and Alternative Dispute Resolution. 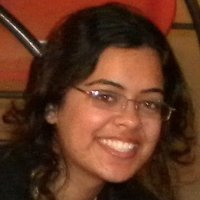 At Chicago-Kent, Ms. George is on the board of the SATYAM Journal and the Journal of International and Comparative Law. She is also very involved with the South Asian Law Student Association and the Kent Justice Foundation. Throughout her time in law school, Ms. George has interned for the Honorable Michael P. Toomin, Presiding Judge of the Juvenile Justice Division of the Cook County Juvenile Court, for the Special Litigation Bureau of the Illinois Attorney General’s Office, for the Employment Law and Mediation Clinics at Chicago Kent, and for the Honorable Margo K. Brodie in the Eastern District of New York. She is currently working for Children’s Rights and The Legal Aid Society in New York. Upon graduation, Ms. George hopes to work in the field of Alternative Dispute Resolution and Child Protection.